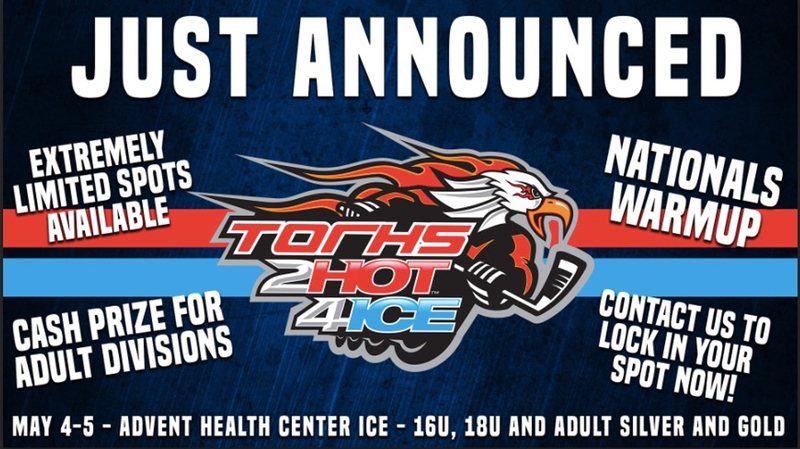 New event added at AdventHealth Ice Center May 4-5. Awesome opportunity to get a chance to skate on the arena rink prior to Nationals! 16u, 18u, Adult Gold, Adult Silver ONLY. Space is EXTREMELY LIMITED. Already have teams locked in, and only have a couple spots left available in each division. Contact our office immediately if you would like to enter a team. This event is NOT a qualifier. Entry is $595/team and you can register by clicking the link below. Cash will be awarded to winners of each Adult Gold & Adult Silver. Details coming shortly.